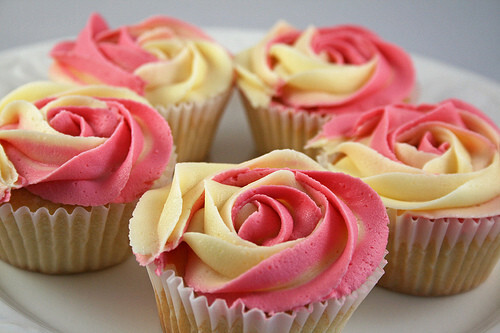 bulaklak Cupcakes. Pictures uploaded sa pamamagitan ng Fanpop users for pagkain Picture Contest.. Wallpaper and background images in the pagkain club tagged: food picture contest contest food flower cupcake. Pictures uploaded sa pamamagitan ng Fanpop users for pagkain Picture Contest. This pagkain photo contains palumpon, kurpinyo, posy, nosegay, cupcake, rose, and rosiness. There might also be patisserie, kamelya, camelia, and nagyelo keyk.